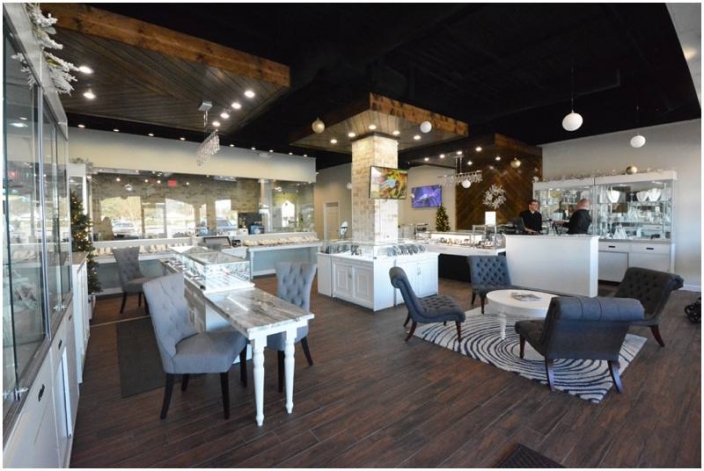 Earlier this year, I met with the owners of Adele Diamond, a local jewelry store, because they were looking to move to the Hilltop section and needed someone to help with the virginia beach interior design. Because of the competition in the area and their high product standard, they wanted the space to be eye-catching. The final space design is very close to my original renderings, which RARELY happens. Needless to say, everyone is happy with the outcome!! Here is the original set of renderings–keep in mind, these are very conceptual…they type of rendering where you get the most bang for your buck. 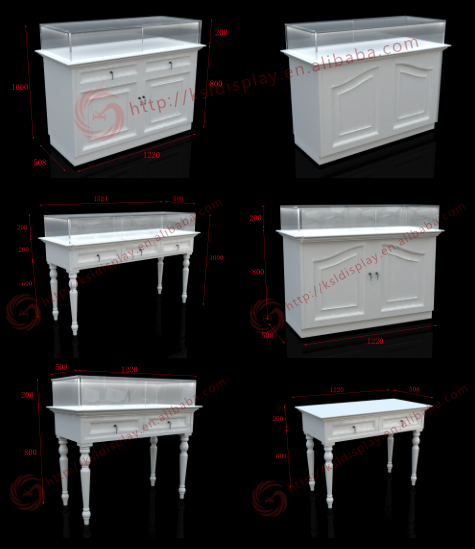 Believe it or not, we even had the furniture made from these renderings by a company overseas called KSL Display!! We’ll call it my first “furniture design” experience. They fabricate your design and then ship it over in container boxes. It was a little sketchy, but the final product is actually beautiful!! Here is the space today, fancy furniture and all. Many of my clients these days are looking for the “rustic wood” design–which has been done and done again. So I always try to think of a way to use it innovatively. The chevron pattern on the two side displays “continue” to the center island where they meet in the middle and form more of a diamond pattern. In the bathrooms, we added wainscot to mimic the design of the furniture pieces in the showroom, but also added a little bit of bling to it!! This space is decked out with moveable furniture, a small kitchen, and a crazy sound system….and guess what? They are available to host parties too!! A huge thank you to the Adele Diamond family for trusting in a vision and following through. I hope they’re as happy with the space as I am!